We are getting more rain today! That's great! It's not great downpours either which is even better. 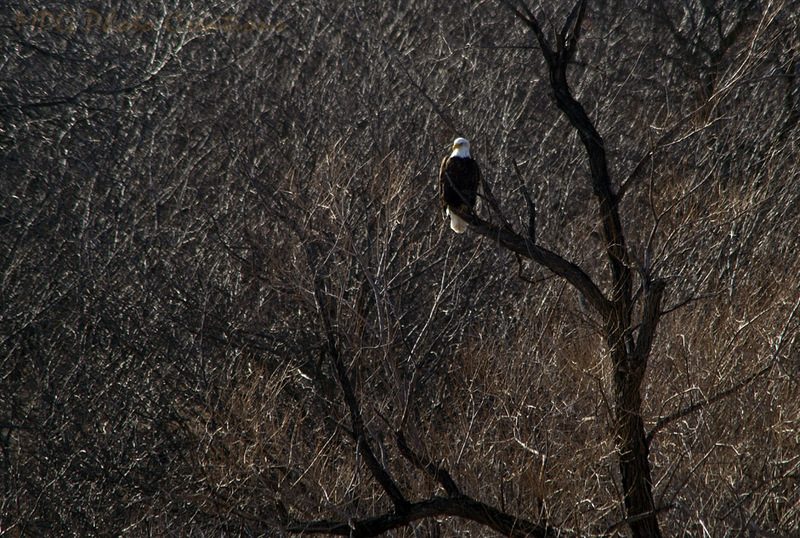 Today's image is an older one of a Bald Eagle that I got sitting in the trees in late winter out by Milford Lake. 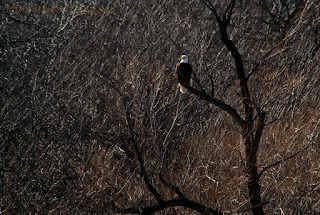 It's not the closest shot I have ever gotten but I liked it against the texture of the tree branches.